Justice and compensation for Marikana victims: Naidoo - SABC News - Breaking news, special reports, world, business, sport coverage of all South African current events. Africa's news leader. Amnesty International’s new boss Kumi Naidoo has appealed to South Africa to give the families of Marikana victims justice and compensation. Naidoo, the first South African to head the London founded body, says he’ll prioritise the continent and take on US President Donald Trump. 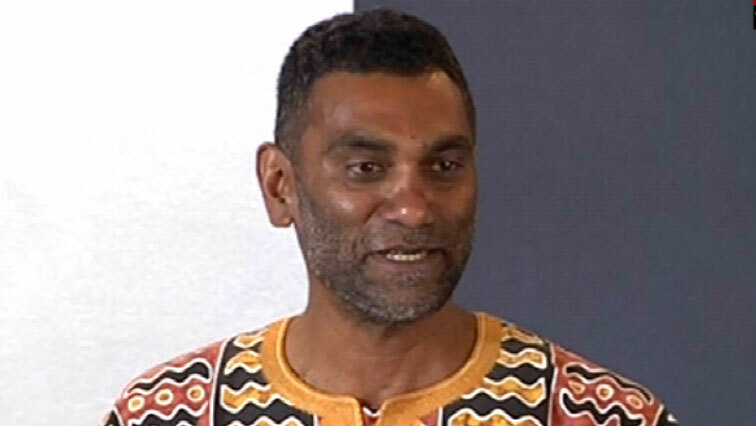 It’s been a bitter-sweet homecoming for Amnesty International’s new boss, Kumi Naidoo. He headed Greenpeace, an environmental NGO where he was famous for climbing oil rigs in the Arctic to attract international attention. And then there was Africa Rising – that seeks to hold leaders on the continent accountable. Naidoo’s priorities include Zimbabwe, the Middle East, and U.S President Donald Trump. Naidoo warns young people not to wait to be the leaders of tomorrow, but to lead peaceful civil disobedience today like he did when he was 15. Meanwhile the call to declare the day a public holiday was again re-emphasised by almost all speakers during the sixth commemoration of the Marikana tragedy. The ceremony was held at the “koppie” were the miners were killed. Democratic Alliance leader, Mmusi Maimane, told thousands that the ruling party would be undermining the nation should it fail to declare the 16th of August a public holiday. AMCU president, Joseph Mathunjwa, criticised government for not taking full responsibility of the Marikana tragedy. He added his voice to the call for the 16th of August to be declared a public holiday. Meanwhile, Communications Minister, Nomvula Mokonyane, says President Cyril Ramaphosa is committed to visiting Marikana. Ramaphosa made the commitment earlier this year in Parliament. “He himself, His Excellency President Ramaphosa has made that commitment and we are all working on it understanding also the pain, understanding also the concerns, so that once that happens it must be something that brings closure in terms of a stand off between government, the affected families, the affected trade union movement in the area and most importantly all South Africans,” Mokonyane explained. Regarding compensation for the Marikana victims, Mokonyane said government is awaiting a response from lawyers representing the families of the victims. This comes after the Socio-Economic Rights Institute‚ which represents 320 claimants, complained that the amount their clients were being offered was much lower than that given to the families of the Life Esidemini tragedy. This entry was posted on 16 Aug 2018,06:22PM at 6:22 PM and is filed under South Africa, News, Homepage Latest Stories Slider. You can follow any responses to this entry through the RSS 2.0 feed. Both comments and pings are currently closed.